2016 West Bengal Assembly Election Result, Bengal Bidhansabha Vote Result 2016, West Bengal Vidhan Sabha Election 2016 Result, Bengal Assembly Poll 2016 Result, Constituency wise 2016 Bengal Assembly Election Result, District & Constituency name wise 2016 Bengal Bidhansabha Vote result. ‘Paribartan’ or ‘Pratyabartan’? TMC or Alliance - Who will make new Government in Bengal? Will Didi make her comeback? Who will be our next Chief Minister? How many seats will TMC win in 2016 Bengal Election? How many seats will CPM + Congress alliance get in 2016 Bengal Bidhansabha Vote? What is the result of 2016 Bengal Assembly Election? West Bengal Assembly Election 2016 vote counting is on 19th May 2016 and as we all expect, all eyes on 2016 Bengal Assembly Election Result date. After ruling for 34-years Communist Government lost to Trinamool Congress Party in 2011. Ms. Mamata Banerjee came with new hope to the people of Bengal. After ruling for 4.5 years from 2011, now it’s time to see whether Mamata Banerjee (Didi) retains the faith of people or not. During Didi’s rule, many allegations arise like Saradha, Narada, Bridge collapse etc. and no doubt many positive steps taken by Didi like Kanyasree, Yubasree etc. Since TMC leaders and Ministers found in recent Narada scam issue and bridge collapsing, opposition parties were getting some hope to do well in 2016 Bengal Vidhan Sabha Vote. West Bengal Assembly Election 2016 was complete moral less peacefully under supervision Nirvachan Commission except few incidents. Now, it’s time to see who gets how many seats in 2016 Bengal Bidhansabha Election. ABP Ananda – Nielsen Prediction on Bengal Assembly Election Result 2016: - As per the prediction of ABP Ananda Nielsen, TMC – 163, Alliance – 126, BJP – 1 and Others – 1 – It means, Trinamool Congress (TMC) to win in 2016 Bengal Assembly Election. India Today - Axis Prediction on Bengal Bidhansabha Poll Result 2016: - As per the prediction of India Today - Axis, TMC – 233 to 253, Alliance – 38 to 51, BJP – 1 to 5 and Others – 2 to 5 – It means, Trinamool Congress (TMC) to win in 2016 Bengal Bidhansabha Poll with huge margin. India TV – C Voter Prediction on Bengal Vidhan Sabha Vote Result 2016: - As per the prediction of India TV – C Voter, TMC – 163 to 171, Alliance – 112 to 128, BJP – 2 to 6 and Others – 1 to 5 – It means, Trinamool Congress (TMC) to win in 2016 Bengal Vidhan Sabha Vote. All these major surveys by popular surveyors suggest Didi will surely make her comeback. Maa Mati Manus Government will be formed again as per above mentioned survey statistics. 1st Phase Bengal Bidhansabha Vote 2016 Result: - Total 18 seats vote was taken in 1st Phase and as per ABP Ananda – Nielsen Post Election Survey, TMC will get 14 Seats and Alliance to win 4 seats. 2nd Phase Bengal Vidhan Sabha Vote 2016 Result: - Total 31 seats vote was taken in 2nd Phase and as per ABP Ananda – Nielsen Post Election Survey, TMC will get 21 Seats and Alliance to win 10 seats. 3rd Phase Bengal Assembly Election 2016 Result: - Total 56 seats vote was taken in 3rd Phase and as per ABP Ananda – Nielsen Post Election Survey, TMC will get 18 Seats, Alliance to win 34 seats, BJP 1 and Others 3 seats. 4th Phase Bengal Bidhansabha Vote 2016 Result: - Total 62 seats vote was taken in 4th Phase and as per ABP Ananda – Nielsen Post Election Survey, TMC will get 28 Seats and Alliance to win 34 seats. 5th Phase Bengal Assembly Vote 2016 Result: - Total 49 seats vote was taken in 5th Phase and as per ABP Ananda – Nielsen Post Election Survey, TMC will get 32 Seats and Alliance to win 17 seats. 6th Phase Bengal Vidhan Sabha Election 2016 Result: - Total 53 seats vote was taken in 6th Phase and as per ABP Ananda – Nielsen Post Election Survey, TMC will get 30 Seats, Alliance to win 22 seats and Other - 1. 7th Phase Bengal Bidhansabha Election 2016 Result: - Total 25 seats vote was taken in 7th Phase and as per ABP Ananda – Nielsen Post Election Survey, TMC will get 20 Seats and Alliance to win 5 seats. This also shows, Maa Mati Manus (TMC) will be making comeback in 2016. But, remember these all are predictions, now let’s check out what actually people say. It’s time to check 2016 Bengal Assembly Election Vote counting Result. 19th May 2016 – The Result Date has come. Now, let’s check how many seats TMC wins and how many seats Alliance wins. Whether heavy weight candidates like Mamata Banerjee, Partha Chatterjee, Madan Mitra, Bobby Hakim, Rupa Ganguly, Locket Chatterjee, Laxmi Ratan Shukla, and many more win or lose. Trinamool Congress (TMC) Party wins – 211 Seats. Didi making her comeback with Double Century. CPIM Wins – 32 Seats [CPM 26, Forward Block 2, RSP 3, CPI 1]. Communist Party lost the tag of 'Opposition Party'. Congress Party Wins – 44 Seats and became 'Opposition Party'. BJP Party Wins – 3 Seats. Other parties Wins - 4 Seats. There are few heavyweight TMC Leaders lost in 2016 Bengal Assemble Election and they are (who faced defeat) Madan Mitra, Manish Gupta, Chandrima Bhattacharya, Baichung Bhutia, Soham Chakraborty, Shyama Prasad Mukherjee etc. In case of CPIM, the main opposition Leader Suryakanta Mishra lost at Narayangarh. Check constituency name wise Vote Result with the number of Vote margin. 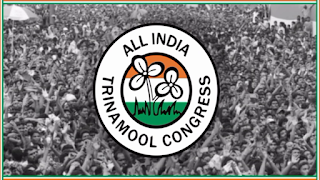 Trinamool Congress Party (TMC) theme song 2016 West Bengal Assembly Election, TMC New Theme Song 2016 Bengal Vidhan Sabha Vote, Trinamool TMC Theme Song 2016 Paschimbanga Bidhansabha Vote. All India Trinamool Congress Party has really introduced a new way of vote publicity wing (vote prachar) by releasing their New Theme Song for 2016 West Bengal Assembly Election. We have already seen in many occasions that TMC Supremo Mamata Banerjee (‘Didi’) likes using social networking sites (Twitter, Facebook etc.) for reaching more people and always thinking of doing something new for the people (Maa Mati Manush). Along with old Vote Prachar policies like ‘Dewal Likhon’, ‘Posters’, ‘Banners’, ‘Vote Slogans’ TMC Party has also involved Social Networking sites in good effect. But, this time just before 2016 West Bengal Vidhan Sabha Vote, Trinamool Congress (TMC) Party has released New Theme Song on YouTube. Music of this New Theme Song is composed by Anupam Roy, who has also written the words. Apart from Anupam Roy, Srikanta Acharja, Somlata, Lopamudra, Prateek Chowdhury, Rudranil has given their voice. TMC New Theme Song for 2016 Bengal Bidhansabha Election is highlighting the works done by TMC in last 5 years for Maa Mati Manush in West Bengal. Please visit to listen to the 2016 TMC Theme Song on YouTube. Here is the TMC Candidate List for 2016 Bengal Vote. West Bengal Assembly Election 2016 TMC candidate names, Trinamool Congress candidate names in Paschimbanga Bidhansabha Vote 2016, TMC nominated candidate names in 2016 Bengal Vidhan Sabha Election, All nominated names of TMC Party in 2016 Bengal Assembly Election, Bengali film actor Soham contesting in which area in 2016 Bengal Assembly Vote, Cricket Laxmi Ratan Shukla selected in which area in 2016 Bengal Vidhan Sabha Election, Singer Indranil Sen contesting from which area in Paschimbanga Bidhansabha Vote 2016, New Faces of TMC Soham Indranil Baishali & Laxmi Ratan Shukla in 2016 Bengal Assembly Election. Just after the declaration of West Bengal Assembly Election 2016 Dates by Election Commission of India, TMC Founder ‘Didi’ Mamata Banerjee has also announced the TMC Candidate Name List contesting in 2016 West Bengal Assembly Election 2016. All 294 assembly constituencies (seats) TMC nominated candidate names has been declared (Check Constituency / Seat wise TMC Candidate names in 2016 Bengal Vidhan Sabha Vote). There are few interesting decisions taken in choosing TMC Leaders as ‘contestant’ of 2016 Bengal Vidhan Sabha Election like choosing Madan Mitra, not choosing last year winners and few stars as 'new faces'. ‘Didi’ Mamata Banerjee & TMC party shows full faith on Saradha Case accused Madan Mitra by choosing him as the contestant from Kamarhati Constituency. Shri Madan Mitra has won from Kamarhati seat in last Assembly Election of West Bengal and now in Jail custody as ‘accused’ of Saradha issue. Madan Mitra gave a big ‘Thank You’ to Mamata Banerjee for retaining him as contestant from Kamarhati Constituency and Shri Madan Mitra supporters of Kamarhati constituency are very sure of winning again. Metiabruj constituency (seat) last West Bengal Assembly Election winner Mumtaj Begam has been replaced in 2016. Uttarpara constituency (seat) last West Bengal Assembly Election winner Anup Ghoshal replaced in 2016. Chandannagar constituency (seat) last West Bengal Assembly Election winner Ashok Sau replaced by new face Singer Indraneil in 2016. Pursura constituency (seat) last West Bengal Assembly Election winner Parvez Rahman replaced in 2016. Jagatballavpur constituency (seat) last West Bengal Assembly Election winner Abul Kashem Molla replaced in 2016. Bally constituency (seat) last West Bengal Assembly Election winner Sultan Singh replaced by new face Baishali Dalmiya (Daughter of Jagmohan Dalmiya) in 2016. Howrah Uttar constituency (seat) last West Bengal Assembly Election winner Ashok Ghosh replaced by new face Cricketer Laxmi Ratan Shukla in 2016. Haroa constituency (seat) last West Bengal Assembly Election winner Zulfikar Ali Molla replaced in 2016. Debra constituency (seat) last West Bengal Assembly Election winner Radhakanta Maiti replaced in 2016. Bhatar constituency (seat) last West Bengal Assembly Election winner Banamali Hazra replaced in 2016. Memari constituency (seat) last West Bengal Assembly Election winner Abul Hasem Mandal replaced in 2016. Durgapur Purba constituency (seat) last West Bengal Assembly Election winner Nikhil Kumar Bandopadhyay replaced in 2016. Borjora constituency (seat) last West Bengal Assembly Election winner Ashutosh Mukhopadhyay replaced by new face Bengali film actor Soham in 2016. Maurarai constituency (seat) last West Bengal Assembly Election winner Noor Alam Chowdhury replaced in 2016. Siliguri constituency (seat) last West Bengal Assembly Election winner Rudranath Bhattacharjee replaced by Baichung Bhutia in 2016. Kumarganj constituency (seat) last West Bengal Assembly Election winner Mahmuda Begam replaced in 2016. Tollywood actor Soham, Ex-Captain of Bengal Cricket Team cricketer Laxmi Ratan Shukla, World famous Jagmohan Dalmiya’s daughter Baishali Dalmiya and famous Singer Indranil has been selected as ‘New Face of TMC’ in 2016 West Bengal Assembly Election. District wise West Bengal Assembly Election dates. Seat / Constituency wise West Bengal Vidhan Sabha Vote dates. Nomination Submission & Withdrawal dates for Bengal Bidhansava Poll 2016. TMC Candidate names in West Bengal Vidhan Sabha Vote 2016. CPIM Party Candidate names for West Bengal Assembly Election 2016. Congress nominated Candidate names in West Bengal Vidhan Sabha Vote 2016. BJP Candidate names in West Bengal Bidhansabha Vote 2016. Vote Result of 2015 Bidhannagar, Asansol & Bally Municipal Corporation Election - Municipality Poll Result of Bidhannagar-Rajarhat, Asansol & Bally (Howrah) Municipal Corporation. 2015 Vote (Election) Result of Bidhannagar (Salt Lake) Rajarhat Municipal Corporation (Municipality) Vote, 2015 Vote (Election) Result of Asansol Municipal Corporation (Municipality) Vote, 2015 Vote (Election) Result of Bally-Howrah Municipal Corporation (Municipality) Vote Result. Bidhannagar-Rajarhat Municipal Corporation Election, Bally-Howrah Municipal Corporation Vote and Asansol Municipality Poll were held on 3rd October 2015. After that re-poll in few booths happened on 9th October 2015 in Bidhannagar & Asansol Municipal Corporation, Today, on 10th October 2015 (Saturday) the result of these 3 Municipal Corporation Election (Bidhannagar, Asansol & Bally-Howrah) has been declared. Let's check out the Civic Poll Result of Bidhannagar, Asansol & Bally (Howrah) Municipality election 2015 below. Total No. of Wards in Bidhannagar Municipal Corporation is 41. 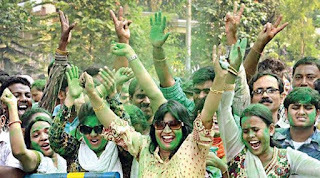 Trinamool Congress (TMC) Party wins in Bidhannagar Municipal Corporation Election in 37 wards. Left Front (CPIM) Party wins in Bidhannagar Municipal Corporation Vote in 2 wards. Congress Party wins in Bidhannagar Municipal Corporation Poll in 2 wards. BJP Party wins in Bidhannagar Municipal Corporation Election in 0 wards. Other Parties win in Bidhannagar Municipal Corporation Vote in 0 wards. CPIM parties heavy-weight candidates like Shri Ashim Dasgupta (Ex-Finance Minister of West Bengal), Ms. Ramala Devi etc. all got defeated in 2015 Bidhannagar Municipality Election. Total No. of Wards in Asansol Municipal Corporation is 106. Trinamool Congress (TMC) Party wins in Asansol Municipal Corporation Election in 74 wards. Left Front (CPIM) Party wins in Asansol Municipal Corporation Vote in 17 wards. Congress Party wins in Asansol Municipal Corporation Poll in 3 wards. BJP Party wins in Asansol Municipal Corporation Election in 8 wards. Other Parties win in Asansol Municipal Corporation Vote in 4 wards. Total No. of Wards in Bally-Howrah Municipal Corporation is 16. 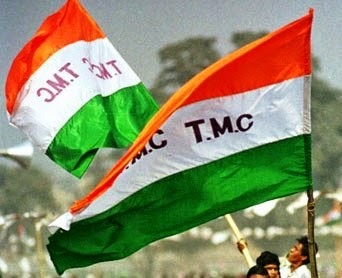 Trinamool Congress (TMC) Party wins in Bally-Howrah Municipal Corporation Election in 16 wards. Left Front (CPIM) Party wins in Bally-Howrah Municipal Corporation Vote in 0 wards. Congress Party wins in Bally-Howrah Municipal Corporation Poll in 0 wards. BJP Party wins in Bally-Howrah Municipal Corporation Election in 0 wards. Other Parties win in Bally-Howrah Municipal Corporation Vote in 0 wards. The Municipal Vote Result clearly shows Trinamool Congress (TMC) Party had made a clean sweep in all three Civic Bodies [Bidhannagar, Asansol & Bally]. Congratulations to Trinamool Congress for getting enormous support from people of Bengal & for doing great job over the years. 'Maa Mati Manush' again proved their popularity in 2015 Municipal Elections happened at Bidhannagar, Asansol & Bally. Ward No. wise TMC party Candidate Names in 2015 KMC Election, Kolkata Municipal Corporation Vote Trinamool Congress Candidate Name List, AITC Candidates for KMC Election 2015, All India Trinamool Congress candidates for Kolkata Municipal Corporation election 2015, KMC Vote TMC candidate names ward no. wise, List of all TMC nominated candidates for Kolkata Municipal Corporation (KMC) Poll 2015, Ward number wise TMC party candidate names for 2015 KMC vote, Kolkata Pourasabha Election 2015 TMC (Trinamool Congress) candidate names. On 18th April 2015, people of Kolkata will decide whom to give responsibilities of Kolkata Municipal Corporation (KMC) by using their power of voting. The contesting candidate name nomination process has been completed by all parties contesting in KMC Election 2015. We have already informed you the ward no. wise candidate names of BJP Party, Congress Party & Left Front Party contesting in upcoming 2015 Kolkata Purasava (Pourasbha) Vote. Now, let’s check out the list of all TMC party candidate names (Ward No. wise) for 2015 Kolkata Municipal Corporation (KMC) Election. Kolkata Municipal Ward No.1. Trinamool Congress (TMC) candidate name is Sabita Jeswara. Kolkata Municipal Ward No.2. Trinamool Congress (TMC) candidate name is Puspali Sinha. Kolkata Municipal Ward No.3. Trinamool Congress (TMC) candidate name is Santanu Sen.
Kolkata Municipal Ward No.4. Trinamool Congress (TMC) candidate name is Goutam Haldar. Kolkata Municipal Ward No.5. Trinamool Congress (TMC) candidate name is Tarun Saha. Kolkata Municipal Ward No.6. Trinamool Congress (TMC) candidate name is Suman Singh. Kolkata Municipal Ward No.7. Trinamool Congress (TMC) candidate name is Manjusree Chowdhury. Kolkata Municipal Ward No.8. Trinamool Congress (TMC) candidate name is Partha Mitra. Kolkata Municipal Ward No.9. Trinamool Congress (TMC) candidate name is Mitali Saha. Kolkata Municipal Ward No.10. Trinamool Congress (TMC) candidate name is Dr. Prasun Ghosh. Kolkata Municipal Ward No.11. Trinamool Congress (TMC) candidate name is Atin Ghosh. Kolkata Municipal Ward No.12. Trinamool Congress (TMC) candidate name is Pranati Bhattacharya. Kolkata Municipal Ward No.13. Trinamool Congress (TMC) candidate name is Anindya Raut. Kolkata Municipal Ward No.14. Trinamool Congress (TMC) candidate name is Amal Chakraborty. Kolkata Municipal Ward No.15. Trinamool Congress (TMC) candidate name is Sukla Bhore. Kolkata Municipal Ward No.16. Trinamool Congress (TMC) candidate name is Sadhan Saha. Kolkata Municipal Ward No.17. Trinamool Congress (TMC) candidate name is Partha Pratim Hazari. Kolkata Municipal Ward No.18. Trinamool Congress (TMC) candidate name is Sunanda Sarkar. Kolkata Municipal Ward No.19. Trinamool Congress (TMC) candidate name is Sikha Saha. Kolkata Municipal Ward No.20. Trinamool Congress (TMC) candidate name is Bijay Upadhyay. Kolkata Municipal Ward No.21. Trinamool Congress (TMC) candidate name is Tara Debi Purohit. Kolkata Municipal Ward No.22. Trinamool Congress (TMC) candidate name is Dinesh Bajaj. Kolkata Municipal Ward No.23. Trinamool Congress (TMC) candidate name is Bishnu Sharma. Kolkata Municipal Ward No.24. Trinamool Congress (TMC) candidate name is Ellora Saha. Kolkata Municipal Ward No.25. Trinamool Congress (TMC) candidate name is Smita Bakshi. Kolkata Municipal Ward No.26. Trinamool Congress (TMC) candidate name is Rabin Chattopadhyay. Kolkata Municipal Ward No.27. Trinamool Congress (TMC) candidate name is Minakshi Gupta. Kolkata Municipal Ward No.28. Trinamool Congress (TMC) candidate name is Iqbal Ahamed. Kolkata Municipal Ward No.29. Trinamool Congress (TMC) candidate name is Paresh Paul. Kolkata Municipal Ward No.30. Trinamool Congress (TMC) candidate name is Papiya Ghosh. Kolkata Municipal Ward No.31. Trinamool Congress (TMC) candidate name is Sunanda Guha. Kolkata Municipal Ward No.32. Trinamool Congress (TMC) candidate name is Santi Ranjan Kundu. Kolkata Municipal Ward No.33. Trinamool Congress (TMC) candidate name is Pabitra Biswas. Kolkata Municipal Ward No.34. Trinamool Congress (TMC) candidate name is Alokananda Das. Kolkata Municipal Ward No.35. Trinamool Congress (TMC) candidate name is Asutosh Das. Kolkata Municipal Ward No.36. Trinamool Congress (TMC) candidate name is Rajesh Khanna. Kolkata Municipal Ward No.37. Trinamool Congress (TMC) candidate name is Soma Chowdhury. Kolkata Municipal Ward No.38. Trinamool Congress (TMC) candidate name is Sadhana Bose. Kolkata Municipal Ward No.39. Trinamool Congress (TMC) candidate name is Md. Jasimuddin. Kolkata Municipal Ward No.40. Trinamool Congress (TMC) candidate name is Swapna Das. Kolkata Municipal Ward No.41. Trinamool Congress (TMC) candidate name is Tapan Roy. Kolkata Municipal Ward No.42. Trinamool Congress (TMC) candidate name is Prakash Kumar Duggar. Kolkata Municipal Ward No.43. Trinamool Congress (TMC) candidate name is Sweta Indoria. Kolkata Municipal Ward No.44. Trinamool Congress (TMC) candidate name is Rehana Khatun. Kolkata Municipal Ward No.45. Trinamool Congress (TMC) candidate name is Nirmala Pandey. Kolkata Municipal Ward No.46. Trinamool Congress (TMC) candidate name is Gopal Chandra Saha. Kolkata Municipal Ward No.47. Trinamool Congress (TMC) candidate name is Suman Singh. Kolkata Municipal Ward No.48. Trinamool Congress (TMC) candidate name is Satyendra Nath Dey. Kolkata Municipal Ward No.49. Trinamool Congress (TMC) candidate name is Aparajita Das Gupta. Kolkata Municipal Ward No.50. Trinamool Congress (TMC) candidate name is Moushumi Dey. Kolkata Municipal Ward No.51. Trinamool Congress (TMC) candidate name is Sanchita Mondal. Kolkata Municipal Ward No.52. Trinamool Congress (TMC) candidate name is Sandipan Saha. Kolkata Municipal Ward No.53. Trinamool Congress (TMC) candidate name is Indrani Banerjee. Kolkata Municipal Ward No.54. Trinamool Congress (TMC) candidate name is Amiruddin (Bobby). Kolkata Municipal Ward No.55. Trinamool Congress (TMC) candidate name is Arun Kumar Das. Kolkata Municipal Ward No.56. Trinamool Congress (TMC) candidate name is Dipali Das. Kolkata Municipal Ward No.57. Trinamool Congress (TMC) candidate name is Jiban Kumar Saha. Kolkata Municipal Ward No.58. Trinamool Congress (TMC) candidate name is Swapan Samaddar. Kolkata Municipal Ward No.59. Trinamool Congress (TMC) candidate name is Jolly Bose. Kolkata Municipal Ward No.60. Trinamool Congress (TMC) candidate name is Kaizar Jamil. Kolkata Municipal Ward No.61. Trinamool Congress (TMC) candidate name is Manjur Iqbal. Kolkata Municipal Ward No.62. Trinamool Congress (TMC) candidate name is Sana Ahmed. Kolkata Municipal Ward No.63. Trinamool Congress (TMC) candidate name is Susmita Bhattacharya. Kolkata Municipal Ward No.64. Trinamool Congress (TMC) candidate name is Iqbal Ahmed. Kolkata Municipal Ward No.65. Trinamool Congress (TMC) candidate name is Farjana Alam. Kolkata Municipal Ward No.66. Trinamool Congress (TMC) candidate name is Faiz Ahmed Khan. Kolkata Municipal Ward No.67. Trinamool Congress (TMC) candidate name is Bijan Mukherjee. Kolkata Municipal Ward No.68. Trinamool Congress (TMC) candidate name is Sudarshana Mukherjee. Kolkata Municipal Ward No.69. Trinamool Congress (TMC) candidate name is Sukhdeb Chakraborty. Kolkata Municipal Ward No.70. Trinamool Congress (TMC) candidate name is Sachhidananda Banerjee. Kolkata Municipal Ward No.71. Trinamool Congress (TMC) candidate name is Papiya Singh. Kolkata Municipal Ward No.72. Trinamool Congress (TMC) candidate name is Sandip Bakshi. Kolkata Municipal Ward No.73. Trinamool Congress (TMC) candidate name is Ratan Malakar. Kolkata Municipal Ward No.74. Trinamool Congress (TMC) candidate name is Debalina Biswas. Kolkata Municipal Ward No.75. Trinamool Congress (TMC) candidate name is Arabinda Singh. Kolkata Municipal Ward No.76. Trinamool Congress (TMC) candidate name is Sashti Das. Kolkata Municipal Ward No.77. Trinamool Congress (TMC) candidate name is Parveen Islahi. Kolkata Municipal Ward No.78. Trinamool Congress (TMC) candidate name is Nezamuddin Sams. Kolkata Municipal Ward No.79. Trinamool Congress (TMC) candidate name is Ram Peyari Ram. Kolkata Municipal Ward No.80. Trinamool Congress (TMC) candidate name is Hema Ram. Kolkata Municipal Ward No.81. Trinamool Congress (TMC) candidate name is Jui Biswas. Kolkata Municipal Ward No.82. Trinamool Congress (TMC) candidate name is Dr. Pranab Biswas. Kolkata Municipal Ward No.83. Trinamool Congress (TMC) candidate name is Manjusree Majumdar. Kolkata Municipal Ward No.84. Trinamool Congress (TMC) candidate name is Paromita Chatterjee. Kolkata Municipal Ward No.85. Trinamool Congress (TMC) candidate name is Debasish Kumar. Kolkata Municipal Ward No.86. Trinamool Congress (TMC) candidate name is Suma Naskar. Kolkata Municipal Ward No.87. Trinamool Congress (TMC) candidate name is Tanima Chatterjee. Kolkata Municipal Ward No.88. Trinamool Congress (TMC) candidate name is Mala Roy. Kolkata Municipal Ward No.89. Trinamool Congress (TMC) candidate name is Mamata Majumdar. Kolkata Municipal Ward No.90. Trinamool Congress (TMC) candidate name is Baiswanar Chatterjee. Kolkata Municipal Ward No.91. Trinamool Congress (TMC) candidate name is Sujata Bhadra. Kolkata Municipal Ward No.92. Trinamool Congress (TMC) candidate name is Saroj Bhowmik (Patang). Kolkata Municipal Ward No.93. Trinamool Congress (TMC) candidate name is Ratan Dey. Kolkata Municipal Ward No.94. Trinamool Congress (TMC) candidate name is Archana Sen Gupta. Kolkata Municipal Ward No.95. Trinamool Congress (TMC) candidate name is Tapan Dasgupta. Kolkata Municipal Ward No.96. Trinamool Congress (TMC) candidate name is Malay (Debabrata) Majumdar. Kolkata Municipal Ward No.97. Trinamool Congress (TMC) candidate name is Mitali Banerjee. Kolkata Municipal Ward No.98. Trinamool Congress (TMC) candidate name is Sandip Nandi Majumdar. Kolkata Municipal Ward No.99. Trinamool Congress (TMC) candidate name is Rekha (Gopa) Dey. Kolkata Municipal Ward No.100. Trinamool Congress (TMC) candidate name is Susmita Dam. Kolkata Municipal Ward No.101. Trinamool Congress (TMC) candidate name is Bappaditya Dasgupta. Kolkata Municipal Ward No.102. Trinamool Congress (TMC) candidate name is Rahul Chakraborty. Kolkata Municipal Ward No.103. Trinamool Congress (TMC) candidate name is Swapna Das. Kolkata Municipal Ward No.104. Trinamool Congress (TMC) candidate name is Tarakeswar Chakraborty. Kolkata Municipal Ward No.105. Trinamool Congress (TMC) candidate name is Tarun Mondal. Kolkata Municipal Ward No.106. Trinamool Congress (TMC) candidate name is Madhumita Chakraborty. Kolkata Municipal Ward No.107. Trinamool Congress (TMC) candidate name is Sushanta Ghosh. Kolkata Municipal Ward No.108. Trinamool Congress (TMC) candidate name is Shyamal Banerjee. Kolkata Municipal Ward No.109. Trinamool Congress (TMC) candidate name is Ananya Banerjee. Kolkata Municipal Ward No.110. Trinamool Congress (TMC) candidate name is Arup Chakraborty. Kolkata Municipal Ward No.111. Trinamool Congress (TMC) candidate name is Rupa Das. Kolkata Municipal Ward No.112. Trinamool Congress (TMC) candidate name is Anita Kar Majumdar. Kolkata Municipal Ward No.113. Trinamool Congress (TMC) candidate name is Gopal Roy. Kolkata Municipal Ward No.114. Trinamool Congress (TMC) candidate name is Biswajit Mondol. Kolkata Municipal Ward No.115. Trinamool Congress (TMC) candidate name is Ratna Sur. Kolkata Municipal Ward No.116. Trinamool Congress (TMC) candidate name is Krishna Singh. Kolkata Municipal Ward No.117. Trinamool Congress (TMC) candidate name is Sailen Das Gupta. Kolkata Municipal Ward No.118. Trinamool Congress (TMC) candidate name is Tarak Singh. Kolkata Municipal Ward No.119. Trinamool Congress (TMC) candidate name is Ashoka Mandal. Kolkata Municipal Ward No.120. Trinamool Congress (TMC) candidate name is Susanta Ghosh. Kolkata Municipal Ward No.121. Trinamool Congress (TMC) candidate name is Manik Chatterjee. Kolkata Municipal Ward No.122. Trinamool Congress (TMC) candidate name is Soma Chakraborty. Kolkata Municipal Ward No.123. Trinamool Congress (TMC) candidate name is Sudip Polley. Kolkata Municipal Ward No.124. Trinamool Congress (TMC) candidate name is Rajib Das. Kolkata Municipal Ward No.125. Trinamool Congress (TMC) candidate name is Ghanasree Bagh. Kolkata Municipal Ward No.126. Trinamool Congress (TMC) candidate name is Shipra Ghatak. Kolkata Municipal Ward No.127. Trinamool Congress (TMC) candidate name is Shyama Das Roy. Kolkata Municipal Ward No.128. Trinamool Congress (TMC) candidate name is Dola Sarkar. Kolkata Municipal Ward No.129. Trinamool Congress (TMC) candidate name is Sanhita Das. Kolkata Municipal Ward No.130. Trinamool Congress (TMC) candidate name is Abhijit Mukherjee. Kolkata Municipal Ward No.131. Trinamool Congress (TMC) candidate name is Sovan Chatterjee. Kolkata Municipal Ward No.132. Trinamool Congress (TMC) candidate name is Sanchita Mitra. Kolkata Municipal Ward No.133. Trinamool Congress (TMC) candidate name is Ranjit Shil. Kolkata Municipal Ward No.134. Trinamool Congress (TMC) candidate name is Sams Iqbal. Kolkata Municipal Ward No.135. Trinamool Congress (TMC) candidate name is Rubina Naaz. Kolkata Municipal Ward No.136. Trinamool Congress (TMC) candidate name is Shamsuzzaman Ansari. Kolkata Municipal Ward No.137. Trinamool Congress (TMC) candidate name is Md. Amin Ansari. Kolkata Municipal Ward No.138. Trinamool Congress (TMC) candidate name is Tapsira Begum. Kolkata Municipal Ward No.139. Trinamool Congress (TMC) candidate name is Aftabuddin Ahmed. Kolkata Municipal Ward No.140. Trinamool Congress (TMC) candidate name is Moynul Hoque Chowdhury. Kolkata Municipal Ward No.141. Trinamool Congress (TMC) candidate name is Mamtaj Begum. Kolkata Municipal Ward No.142. Trinamool Congress (TMC) candidate name is Raghunath Patra. Kolkata Municipal Ward No.143. Trinamool Congress (TMC) candidate name is Indrajit Bhattacharya. Kolkata Municipal Ward No.144. Trinamool Congress (TMC) candidate name is Sefali Pramanik. Kolkata Pourasabha (KMC) is now in the hand of All India Trinamool Congress (AITC) party. Kolkata Municipal Corporation (KMC) Election is on 18th April 2015 and we all are waiting to see whether people are going to give the responsibilities of KMC to TMC once again or not. Till then, you may check BJP Party Candidate Names for 2015 KMC Vote, Left Front party candidate name list for 2015 Kolkata Pourasabha Vote and Congress candidate name list for 2015 Kolkata Municipal Corporation Poll. Burdwan Seats constituency TMC selected candidates 2011 Bengal election poll vote Bidhan Sabha Vidhan Sabha Vote 2011 Trinamool Congress TMC party candidates Bengal Burdwan district constituency candidates Trinamool Congress TMC party 2011 Bengal Election Vote Selected Candidates TRINAMOOL CONGRESS TMC Party names seat Constituency Burdwan Bengal 2011 Assembly Election. All India Trinamool Congress Party (TMC) has declared their candidates for Burdwan district of upcoming 2011 Bengal Assembly Election and here are the Selected TMC Trinamool Congress Candidates from Burdwan District’s various Constituency (Seats). ♣ Check the CPM Candidate List for 2011 Assembly Election in Bengal. ♣ Check Selected Candidate list of CPM – TMC – Congress Constituency Wise List. Amongst these above mentioned Burdwan Districts Bidhan Sabha Seats / Constituency; TRINAMOOL CONGRESS left three seat for alliance Congress Party as Candidates for 2011 Bengal Assembly Election in Burdwan. Medinipur Seats constituency TMC selected candidates 2011 Bengal election poll vote Bidhan Sabha Vidhan Sabha Vote 2011 Trinamool Congress TMC party candidates Bengal Medinipur district constituency candidates Trinamool Congress TMC party 2011 Bengal Election Vote Selected Candidates TRINAMOOL CONGRESS TMC Party names seat Constituency Medinipur Bengal 2011 Assembly Election. All India Trinamool Congress Party (TMC) has declared their candidates for Medinipur district of upcoming 2011 Bengal Assembly Election and here are the Selected TMC Trinamool Congress Candidates from Medinipur District’s various Constituency (Seats). Amongst these above mentioned Purba and Paschim Medinipur Districts Bidhan Sabha Seats / Constituency; TRINAMOOL CONGRESS left five seat for alliance Congress Party as Candidates for 2011 Bengal Assembly Election in Medinipur. Hooghly Seats constituency TMC selected candidates 2011 Bengal election poll vote Bidhan Sabha Vidhan Sabha Vote 2011 Trinamool Congress TMC party candidates Bengal Hooghly district constituency candidates Trinamool Congress TMC party 2011 Bengal Election Vote Selected Candidates TRINAMOOL CONGRESS TMC Party names seat Constituency Hooghly Bengal 2011 Assembly Election. All India Trinamool Congress Party (TMC) has declared their candidates for Hooghly district of upcoming 2011 Bengal Assembly Election and here are the Selected TMC Trinamool Congress Candidates from Hooghly District’s various Constituency (Seats). Amongst these above mentioned Hooghly Districts Bidhan Sabha Seats / Constituency; TRINAMOOL CONGRESS left one seat for alliance Congress Party as Candidates for 2011 Bengal Assembly Election in Hooghly. Howrah Seats constituency TMC selected candidates 2011 Bengal election poll vote Bidhan Sabha Vidhan Sabha Vote 2011 Trinamool Congress TMC party candidates Bengal Howrah district constituency candidates Trinamool Congress TMC party 2011 Bengal Election Vote Selected Candidates TRINAMOOL CONGRESS TMC Party names seat Constituency Howrah Bengal 2011 Assembly Election. All India Trinamool Congress Party (TMC) has declared their candidates for Howrah district of upcoming 2011 Bengal Assembly Election and here are the Selected TMC Trinamool Congress Candidates from Howrah District’s various Constituency (Seats). Amongst these above mentioned Howrah Districts Bidhan Sabha Seats / Constituency; TRINAMOOL CONGRESS left one seat for alliance Congress Party as Candidates for 2011 Bengal Assembly Election in Howrah. Kolkata Seats constituency TMC selected candidates 2011 Bengal election poll vote Bidhan Sabha Vidhan Sabha Vote 2011 Trinamool Congress TMC party candidates Bengal Kolkata district constituency candidates Trinamool Congress TMC party 2011 Bengal Election Vote Selected Candidates TRINAMOOL CONGRESS TMC Party names seat Constituency Kolkata Bengal 2011 Assembly Election. All India Trinamool Congress Party (TMC) has declared their candidates for Kolkata district of upcoming 2011 Bengal Assembly Election and here are the Selected TMC Trinamool Congress Candidates from Kolkata District’s various Constituency (Seats). Amongst these above mentioned Kolkata Districts Bidhan Sabha Seats / Constituency; TRINAMOOL CONGRESS left no seats for alliance Congress Party as Candidates for 2011 Bengal Assembly Election in Kolkata. North South 24-Parganas Seats constituency TMC selected candidates 2011 Bengal election poll vote Bidhan Sabha Vidhan Sabha Vote 2011 Trinamool Congress TMC alliance candidates Bengal 24-Pgs district constituency candidates Trinamool Congress TMC 2011 Bengal Election Vote Selected Candidates Trinamool Congress TMC party names seat Constituency 24-Pgs Bengal 2011 Assembly Election. All India Trinamool Congress Party (TMC) has declared their candidates in 24-Pgs district of Bengal for upcoming 2011 Bengal Assembly Election and here are the Selected TMC Trinamool Congress Candidates from 24-Pgs District’s various Constituency (Seats). • TMC Candidate of Constituency Metiabruje South 24-Parganas: Mumtaj Begam will contest against CPM Candidate Badrudoja Molla. Amongst these above mentioned 24-Pgs Districts Bidhan Sabha Seats / Constituency; Trinamool Congress (TMC) left vacant 2 Seats for Congress and 2 Seats for SUC Party Candidates for 2011 Bengal Assembly Election in 24-Parganas (North and South).